Selected Villas for rent near Ruwanwelisaya Stupa (Sri Lanka) - Contact us now! 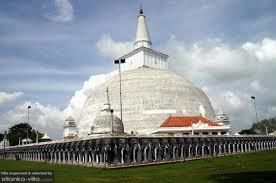 The Ruwanweli Saya stupa is sacred to many Buddhists as it contains a relic and was built after the victory in war of king Gamini Abhaya in the first century BC. It is 103 meters high.